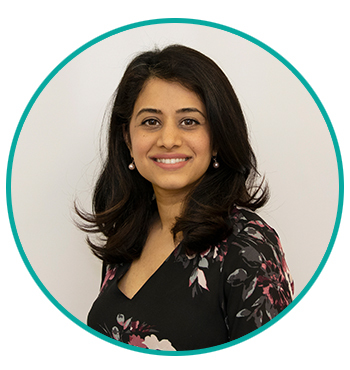 Dr. Manju Asdhir’s love for her community and patients has led her to this motto: Treat your patients like you would your family and you’ll never work a day in your life! Dr. Asdhir graduated from the Canadian Memorial Chiropractic College in 2011 where she received her Doctor of Chiropractic degree and simultaneously received certification in Medical Acupuncture from McMaster University. Her love for the profession and passion for research has led to her growing success. When she’s not at work, Dr. Asdhir loves cycling, teaching yoga, being a business mentor, paddle boarding, and working in the City of Kawartha Lakes! After graduation, Dr. Asdhir moved to the beautiful City of Kawartha Lakes where she had one goal in mind, to open a multi-disciplinary clinic providing the best care for patients with a top notch team. This dream became a reality with the birth of Kawartha Care Wellness Centre in 2013. Since then, the clinic has won Readers Choice Favourite Chiropractor for three years in a row, and she is humbled by this success! Dr. Asdhir works to develop individualized treatment plans for each patient and their specific condition. She combines therapies such as adjustments, acupuncture, soft tissue therapy, and exercise therapy to achieve the most successful outcomes.